Barnardo’s chief executive Javed Khan is used to being the only non-white charity leader in the room. "To say there is an under-representation is a gross understatement, especially at middle to senior levels," says Khan, who, when working in local government, became the UK’s first British Pakistani director of education in 2003. 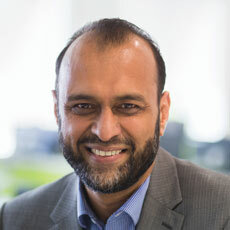 Khan is currently the only non-white chief executive among the top 20 UK charities by income after Sir Harpal Kumar, the former chief executive of Cancer Research UK, stepped down in this summer after 11 years in the role. Michelle Mitchell was due to take over at CRUK on 12 November. The Pay and Equalities Survey 2018, published by the charity leaders body Acevo earlier this year, found that just 3 per cent of charity chief executives were from a black, Asian and minority ethnic background, compared with 14 per cent of the population nationwide. 1. Bring in an equalities adviser or consultant. Not only will they know the legal requirements back to front, but they will also be able to unpick unconscious bias, analyse recruitment and help remove barriers to people with protected characteristics under the Equality Act 2010. 2. Provide training on diversity and unconscious bias. Recognise that diversity knowledge and expertise is an essential skill to be learned by senior leadership teams and boards, as well as through the organisation. 3. Ensure your organisation’s image reflects a diverse workforce and user community. Use pictures that reflect difference, share videos on social media and make sure the equal opportunities policy goes beyond the bare minimum. 4. Seek input from a diverse range of people when recruiting. Ask for their views on draft job descriptions and adverts and where to place job ads to cast the net wider. Use people from at least two different backgrounds to shortlist candidates and when interviewing. They can be external if necessary. 5. Set up mentoring schemes. Peer-to-peer mentoring can provide valuable support, and mentoring from senior leaders can help talented staff to learn skills and crucial information for breaking through the glass ceiling. 6. Create a diversity action plan. Embed the action plan into the organisation by setting clear targets for what you want to achieve and monitoring progress at regular intervals. The statistics are even more stark for women: just 2.25 per cent of senior leaders within the sector were women of colour and only 2.9 per cent of trustees, according to data gathered from the top 500 charities by income by the diversity agency Inclusive Boards. Not one of the seven women chief executives at the top 20 charities by income in the UK is non-white. Meanwhile, Acevo’s survey, which was based on responses from 540 third sector chief executives, found that 16 per cent of them had an impairment, health condition or learning difference. With between 20 and 30 per cent of the UK population expected to be BAME by 2050 and a fifth of working-age people currently having disabilities, there’s a growing recognition that the charity sector needs to do more – and fast. Amanda Khozi Mukwashi, who became the first black female chief executive of Christian Aid earlier this year, says that the issues are "complex and deep-rooted", but they can be overcome. 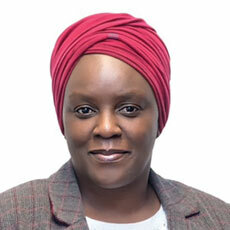 "What we can do as leaders within the charity sector is ensure that we have the policies and processes in place to give every person – no matter their race, gender, sexuality or physical ability – an equal opportunity to thrive within our organisations," says Mukwashi. "It is important to analyse our recruitment policies and strategies, to provide training on unconscious bias and to make sure our practices are accessible to all. It is also important to be able to talk openly about prejudice so that as individuals we can become more aware of them and begin to consciously address them." Part of the problem is the tendency to appoint chief executives that reflect the board itself, argues consultant Srabani Sen. According to the Charity Commission, 92 per cent of trustees are white and 62 per cent of the top 500 charities by income have all-white boards. "If you’re working with boards that might never have recruited a chief executive from a diverse background or have knowledge of how they should be approaching the situation to ensure a diverse candidate pool, then how will there ever be any change?" she asks. Sen is set to launch Full Colour, a consultancy she hopes will help to develop the next generation of BAME leaders and work with existing leaders to provide practical ways to lead inclusively. "For those leaders who are white and male, step one is raising your own awareness," she says. "But you then have to take action to drive change. There are practical competencies that come with being an inclusive leader that need to be learned, as with understanding a balance sheet or knowing how to write a strategy." 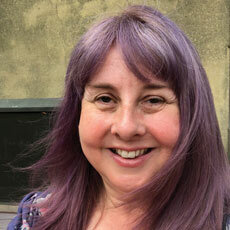 Karin Woodley is chief executive of the South London-based poverty and social action charity Cambridge House. As a woman of colour with a mental health condition, she believes the "institutional narrative" needs to be challenged if charities are going to make progress on the issue. "We need to switch from referring in the passive to people being excluded or disadvantaged, to saying these are people that we exclude," she says. 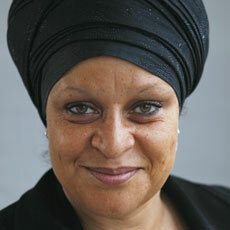 She views bringing in an equalities adviser as a good first step. "Fixing it yourself, when you don’t really know why you aren’t shortlisting black people or disabled people, is not workable," she points out. "We need sophisticated analysis of the recruitment, redundancy and promotional systems to understand how to remove barriers." 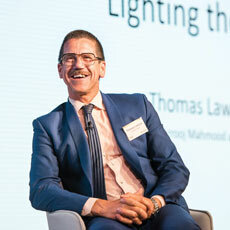 Thomas Lawson, chief executive of the youth charity Leap Confronting Conflict, has been among the most vocal critics of the charity sector’s record on diversity. At the start of the year, he wrote a blog calling on charity chief executives to do more to address the problem. "We are all working in our sector because we want the world to be better – that can sometimes stop us from accepting we might think in a racist way," says Lawson. "When we think about racism, we think about an individual consciously doing an act against a person of colour. "People can justifiably say ‘that’s not how I think’ – but that’s not how racism works. It’s incredibly real and structural, and we must name it for what it is – subconscious racism." As a gay man, Lawson says change is not an impossible dream, pointing to the progress made on LGBT rights over the past 30 years. Leadership and governance consultant Tesse Akpeki also believes that progress can be made, but charities must accept they need to change their approach. "If we do what we have always done, we’ll get the same result," she says. "There are ways to move forward: put an advert where a more diverse range of people will see it; put pictures in literature that reflect differences; go out to meet people and put the net out wider." At a national level, there is growing recognition that action is required. In July, Acveo and the Institute of Fundraising jointly published a diversity charter that calls on charity leaders to commit to eight principles to tackle racial diversity within their own organisations. So far, more than 50 leaders have signed the charter. 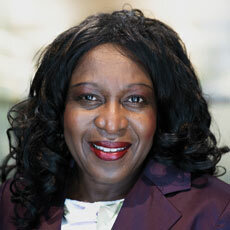 And when the local infrastructure body Navca was seeking a new chair in the summer, its chief executive, Jane Ide, published a blog and put out calls on social media encouraging candidates from BAME backgrounds to put themselves forward. Two years ago, Barnardo’s 10-year strategy embedded "diversity and inclusion in its DNA", says chief executive Javed Khan. It has introduced "name-blind recruitment" where candidates’ names and personal details are removed from application forms. It has also set a target of increasing success rates for appointing BAME and disabled applicants to posts by 50 per cent. Khan says its approach has already started to pay off: its last three senior hires have been from BAME backgrounds. Other initiatives include mentoring for senior leaders from diverse junior staff to help raise their awareness of diversity issues, and a leaders programme for middle managers who "can’t see how to break through the concrete ceiling", says Khan. "Some of them will end up moving somewhere else, but we don’t mind," he says. "It is a contribution to the sector." However, developing opportunities at the start of their careers is not necessarily the answer to getting more people from diverse backgrounds into leadership roles. "Many initiatives are tackling the beginning of the pipeline at junior level, with an assumption that if you get that end sorted people will trickle up," says Sen. "But if there is still unconscious bias about who comes up the ranks, it doesn’t matter how much effort you put in at the bottom of the pipeline, it will never change what the top of the sector looks like." Greater regulation could be key, she says, citing the mandatory gender pay gap reporting requirement introduced last year. A tougher regulatory approach is also favoured by Kamran Mallick, chief executive of Disability Rights UK, who says a reporting requirement on racial diversity and disabled employees would help organisations to "focus their minds". The government has announced plans to bring a million more disabled people into work by 2027, but there are still huge hurdles to overcome, says Natalie Doig, diversity and inclusion lead at the disability charity Scope. "As a sector, we need to share more information about recruiting, retaining and progressing disabled people, as well as people with other protected characteristics under the Equality Act 2010," she says. Scope is part of the Disability Charities Consortium, which this year created a group for HR leads in disability charities, partly to "hold each other to account and challenge ourselves to do better", says Doig. "We need to see more disabled people in parliament, in councils and among charity leaders and trustees," she says. "As a disabled person, seeing someone in a leadership role is really inspiring." 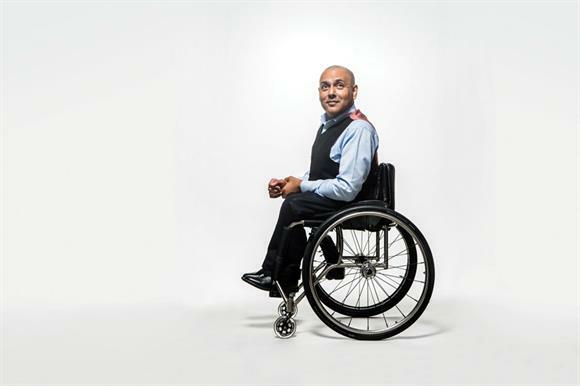 Mallick also believes disabled role models are important in the charity sector. "There may well be disabled people working at the lower levels, but when you get into senior management and chief executive level there is a lack of disabled representation," says Mallick. "There are people out there who want those positions, but the organisations are not coming across as wanting to benefit from what disabled people can bring. "Boards need to take diversity seriously and develop action plans that include details of what they are going to do to effect that change." Delivering Through Diversity, a study from the management consultancy McKinsey & Company, published in January this year, said that organisations in the top quartile for ethnic/cultural diversity on executive teams were 33 per cent more likely to be among the most profitable businesses in their industry. "The context in which we are operating is very volatile: funding and the political environment is more challenging," says Sen.
"It is more important than ever that we have excellence in how we drive the sector forward. That comes from diversity of thought and experience, and abilities that bring a difference of perspective crucial for the sector to thrive. None of this is a luxury – it’s about surviving and thriving."